This book provides the basic knowledge in sample collection, field and laboratory quality assurance/quality control (QA/QC), sample custody, regulations and standards of environmental pollutants. The text covers sample collection, preservation, handling, detailed field activities, and sample custody. It provides an overview of the occurrence, source, and fate of toxic pollutants, as well as their control by regulations and standards. 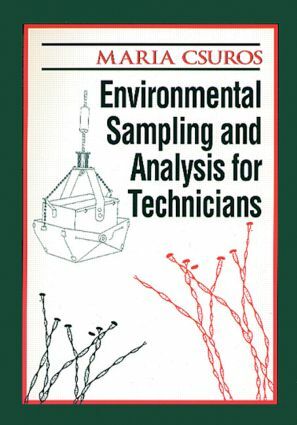 Environmental Sampling and Analysis for Technicians is an excellent introductory text for laboratory training classes, namely those teaching inorganic nonmetals, metals, and trace organic pollutants and their detection in environmental samples.